Sacred Lotus Tattoo - Voted #1 Tattoo Shop by Mountain Xpress’ BEST OF WNC 2018 in Asheville, NC. Kimi Leger has been tattooing in the Asheville area since 2004. Throughout her career she has become a known, trusted tattooer with a good reputation and large clientele base. She feels honored to create art that literally becomes part of her clients forever. Limited availability. Voted #1 Best Tattoo Artist in Best of WNC in 2016, 2017 and 2018 and #2 in 2015 and 2014. Jessica Guillory grew up in New Orleans. She is a self taught portrait artist and attended college for fine arts. In 2005 Jessica and her family moved to Asheville to start over after losing everything to Hurricane Katrina. She began her apprenticeship under Kimi Leger in 2014. She enjoys doing geometric, Japanese, realism and illustrative styles in tattooing. Jessica appreciates the time spent with her clients, getting to know them, and hearing about what their tattoo means to them. She feels honored to share the experience of bringing their vision to life. Cameron has been tattooing professionally since 2011, starting in Michigan before moving to Florida and now Asheville. Although capable of many different styles, he prefers to make Neo-Traditional and Blackwork tattoos and enjoys all things dark and creepy. 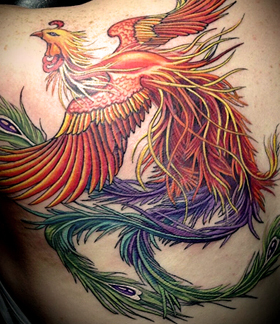 After getting her degree in fine arts, Amy started tattooing in 2008 in Atlanta. She enjoys all avenues of tattooing, but focuses on traditional, neo traditional, and illustrative styles. Obsessed with animals, rock n’ roll, and sci-fi she is excited to create a tattoo you will love! Chris Sheehan approaches tattooing as a transformational art form to uplift and inspire his clients. He believes the art of tattooing can be used a powerful tool to support a greater alignment with your own true nature. A tattoo can inspire us to connect more deeply with the essence of our eternal nature, strength, love and beauty on a daily basis as a visual manifestation of our inspired intention.